The 1st Viscount Powerscourt was keen to make his mark and assert his position as one of importance in society, so he set about transforming the medieval castle at Powerscourt into a grand mansion. In 1730, he commissioned the German-born architect Richard Castle to build Powerscourt House, a 68 room mansion, which was completed in 1741. The village school house opposite the Clock Tower was built in 1818 and was still being used as the local Church of Ireland National School until recently. 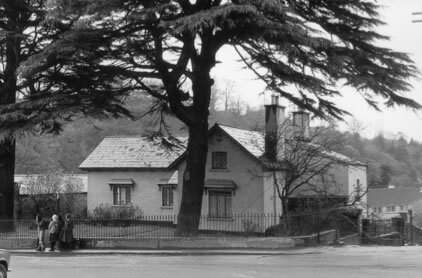 The nearby house, ‘Ferndale’, built c.1850, served as the School Master’s house. Until the 1970s, there were two big Cedar trees in front of the school. 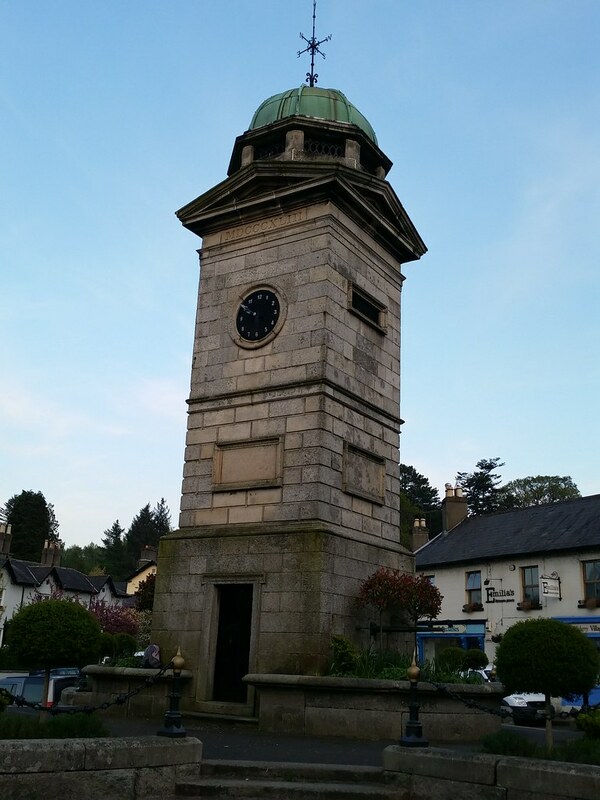 The Clock Tower was built, at the expense of the 6th Viscount Powerscourt, to commemorate the centenary of the creation of First Viscount in 1743. The monument was presented to the Village on St. Patrick’s Day 1843. An interesting feature of the monument is that its base is shamrock shaped. There was a massive tree at the bottom of the Town Clock steps until the 1920s as can be seen in old photos of the square. This pretty little building was built as a forge by the Wingfield family of Powerscourt. Coach travel was the most common form of transport in the 19th century and many wealthy Dubliners and Victorian holiday makers travelled from Dublin to Wicklow by this route. If you look at the doorway you will see that it is also shaped liked a horse shoe. St Mary’s Catholic Church was built in 1859 by Fr. Thomas O’Dwyer on a site provided by the Powerscourt Estate. Prior to this date, there was no Catholic Church in Enniskerry and Mass was celebrated in a barn that was made available by a Mrs. Dixon. Once the Church was completed, the parish of “The Immaculate Heart of Mary” was constituted and Fr. O’Dwyer became its first parish priest. Up to that time, he was the local curate within the parish of Bray. The Protestant population of the village attended church on the grounds of the Powerscourt Demesne until 1859. Mervyn Wingfield, 7th Viscount Powerscourt, built a new church, Saint Patrick’s, overlooking the village which was completed two years later in 1861. 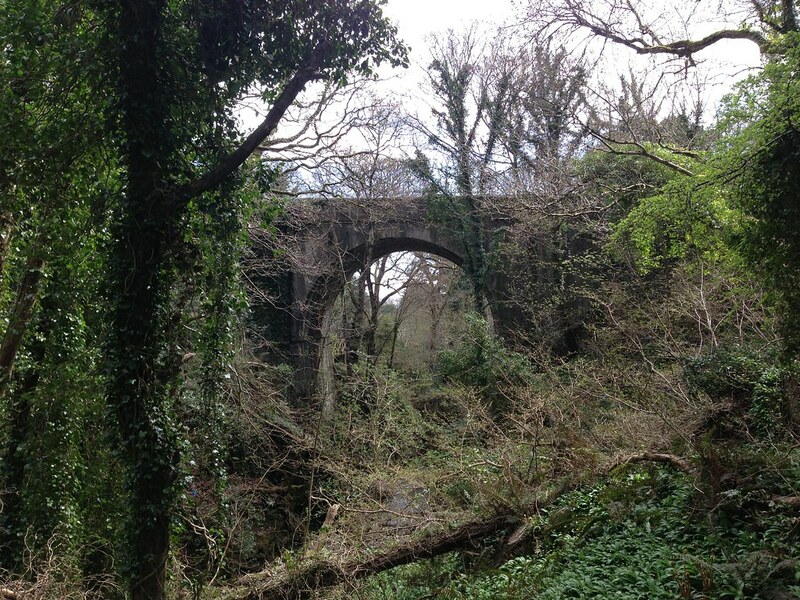 Knocksink Bridge was built in 1859 and was, at one time, the highest bridge in Ireland. During the Second World War, holes were drilled in the bridge in order to blast it with dynamite in case of invasion.